CHARLOTTESVILLE, Va. - Rich people using their wealth to try to influence politics is nothing new, but not many launch multimillion-dollar crusades against their local electric company. That's just what Charlottesville investor and Democratic donor Michael Bills is doing in Virginia, where's he's taking on Dominion Energy, the state's largest electric utility and most politically powerful corporation. It's a David versus Goliath story, if both of them had a bunch of money. 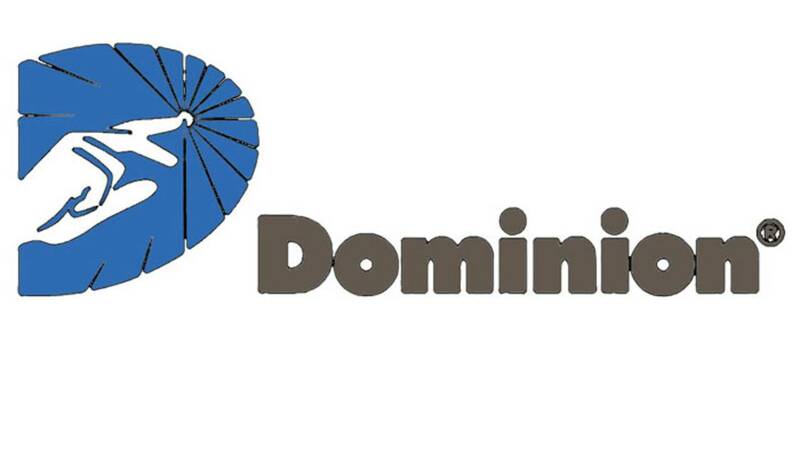 Dominion has had a major say in writing Virginia energy laws for years, helping shape a regulatory scheme Wall Street analysts have called one of the most utility-friendly in the country. Critics say Dominion has used its political muscle to overcharge customers by billions of dollars and stifle competition. Dominion says it's an engaged corporate citizen with a strong record of providing reasonably priced, reliable power. Bills said Dominion has effectively captured the General Assembly to boost profits. The result, he said, isn't just overpaid Dominion executives, unnecessarily high electric bills and bad environmental policy, but a deep rot in the democratic process. "The structural problem is that Dominion has insidious influence," Bills told The Associated Press. Bills is funding a group called Clean Virginia that plans to spend about $8 million to $10 million on a lobbying and public relations campaign over several years. Those efforts include running targeted ads in key lawmakers' districts to counter Dominion's sway. Well-known billionaire activists such as Michael Bloomberg and Charles and David Koch, and lesser known politically active billionaires such as Missouri's Rex Sinquefield, have used their wealth to support a broad range of candidates and causes, but Bills said he hasn't seen a targeted advocacy group like Clean Virginia. Clean Virginia is calling for a law to prevent electric monopolies, including Dominion and the state's second largest electric utility, Appalachian Power, from donating directly to candidates. Last year, Clean Virginia pledged to give sitting House members $5,000 per election cycle and senators $20,000 per election cycle if they refused donations from Dominion or its executives. This year, the group is running ads critical of Dominion's political influence in top legislators' districts. Bills also successfully pushed the League of Conservation Voters - a major contributor to Democratic gubernatorial candidates in the last two elections - to ban major donations to candidates who take Dominion money. Bills said he also plans to discuss a similar arrangement with California environmentalist Tom Steyer, whose group has spent heavily in recent Virginia elections. The efforts appear to be having an effect. Several veteran Democrats have recently said they will no longer take Dominion money, joining several new Democratic candidates who pledged to refuse Dominion money in the 2017 election and have taken donations from Clean Virginia. Attorney General Mark Herring, who plans to run for governor in 2021 and has previously accepted more than $130,000 from Dominion, is the most prominent Democrat to recently announce he's swearing off the utility's cash. Bills' hard-elbowed tactics have won fans among progressives but also criticism that he's trying to buy off politicians himself. "On behalf of our nearly 10,000 Virginia employees we engage in the political process. So does this one wealthy individual. The difference is his donations are contingent on doing exactly what he says," said Dominion spokesman David Botkins. House Minority Leader Eileen Filler-Corn, whose district is being targeted by Clean Virginia's new ad campaign, said Bills' aggressive advocacy has split Democrats. "Do I think this divides the caucus? Arguably yes," she said. Bills said he has no hidden agenda, profit motive or political ambitions. He said he decided to give a rare interview because he wanted to make clear his motives. "I'd prefer to not be in the press, I'd prefer to not be fighting this fight, but I feel like I have the ability to do it, and I recognize how important it is," Bills said. Bills, 61, grew up in Hampton while his father served in the Air Force. He went to the University of Virginia before heading to Wall Street. He founded an investment partnership fund that he still runs today. The $1.5 billion fund has about 100 investors and Bills said he knows of no potential conflict between the fund's investments and Dominion. Bills said it's fair to assume he's a multimillionaire, but said his rate of charitable giving will assure he does not die a wealthy man. Bills has long given money to Democratic candidates in Virginia but said only in recent years has he started taking a keen interest in utility policy. He said his interest in environmental issues - such as why Virginia lagged neighboring states in solar energy - led to him to pay more attention to Dominion's influence in state politics. Besides its large campaign contributions, Dominion has a small army of well-connected lobbyists and is a frequent landing spot for high-level officials leaving state government. It also gives generously to politically connected charities and advocacy groups and spent thousands taking lawmakers to the Masters golf tournament or Washington Redskins games before a gift ban became law. Lawmakers last year approved a sweeping electric regulations overhaul Dominion said was needed to upgrade the electric grid and boost clean energy production. The regulations also make it nearly impossible for its rates to be decreased. In 2015, the company helped write and pass a bill Dominion said protected customers from environmental compliance costs but state regulators said led to hundreds of millions of dollars in overcharges.